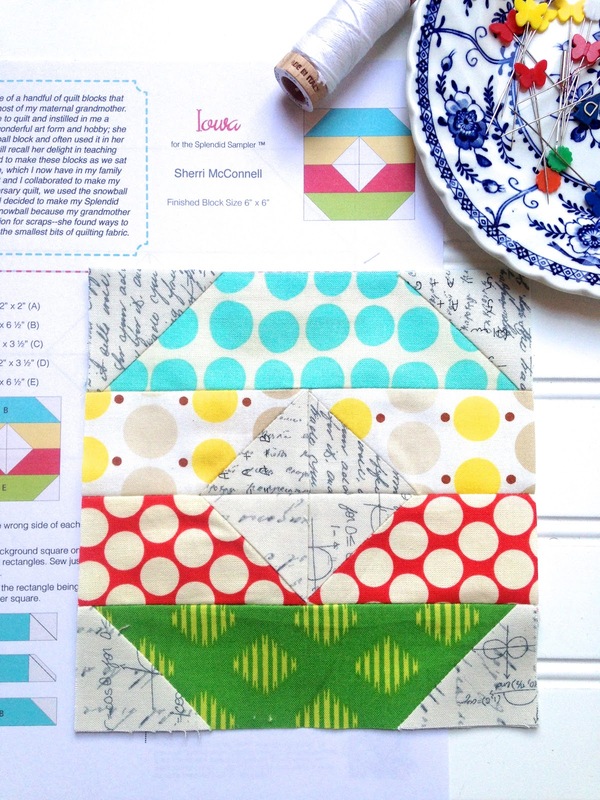 The Splendid Sampler Block 10 is up and ready for you to make! Iowa is the colorful and super fast block by Sherri McConnell from A Quilting Life that you need to make NOW! I placed Iowa on the design wall and am amazed at how the blocks are starting to take up space!!! WOOT WOOT! Make sure to join The Splendid Sampler Facebook group belong to the best online support quilting bee EVER! Oh, I'm loving how your blocks are looking together (plus the other blocks are pretty too). I've yet to put all mine together. I LOVE those leaves!! Great blocks!